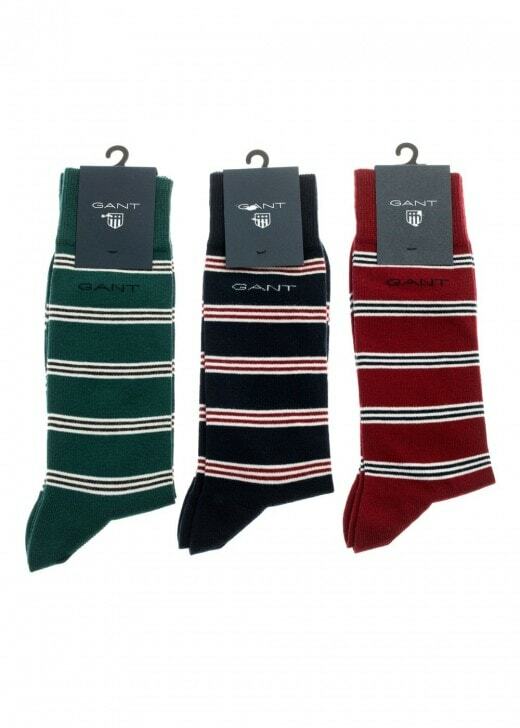 These Regimental Stripe Socks by Gant feature a classic striped design in contrasting colours, as well as the Gant logo near the top of the sock. These Regimental Stripe Socks by Gant feature a classic striped design in contrasting colours, as well as the Gant logo near the top of the sock. These socks are made from a cotton blend to provide comfort and durability.